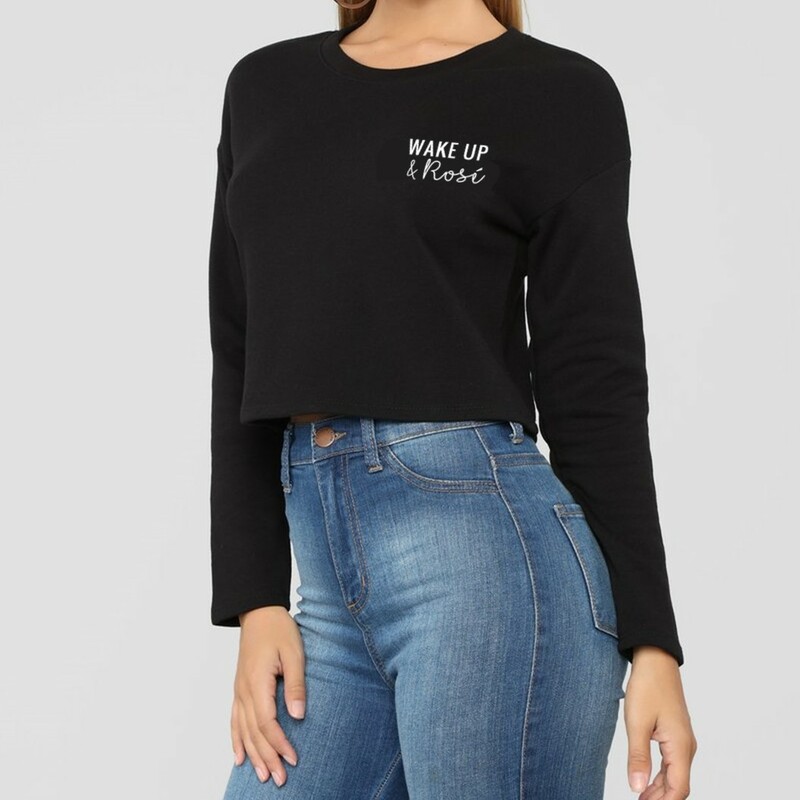 Wake Up & Rosé Crop trendy Sweatshirt is a must-have for your wardrobe. It’s raw design and wine-loving print make it fashion forward while the poly cotton brushed fleece brings an unmatched level of comfort. Did you know that fashion and comfort can be combined? 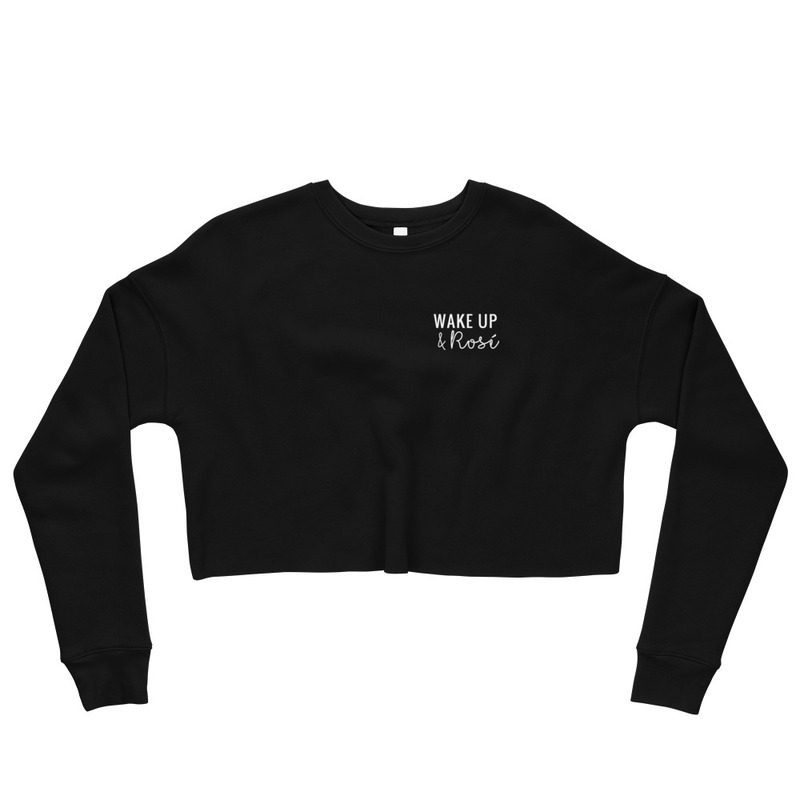 Our Wake Up & Rosé fleece crop sweatshirt is here to prove the point. The soft fabric feels extra soft to the touch, and the trendy cut with a ribbed neckline and raw hem comes right out of fashion magazines while still keeping it casual. LOVE LOVE LOVE! Got this as a gift for my daughter-in-law and she wears it all the time. She lives in Boston so it is perfect, and she LOVES wine!